Good morning ! 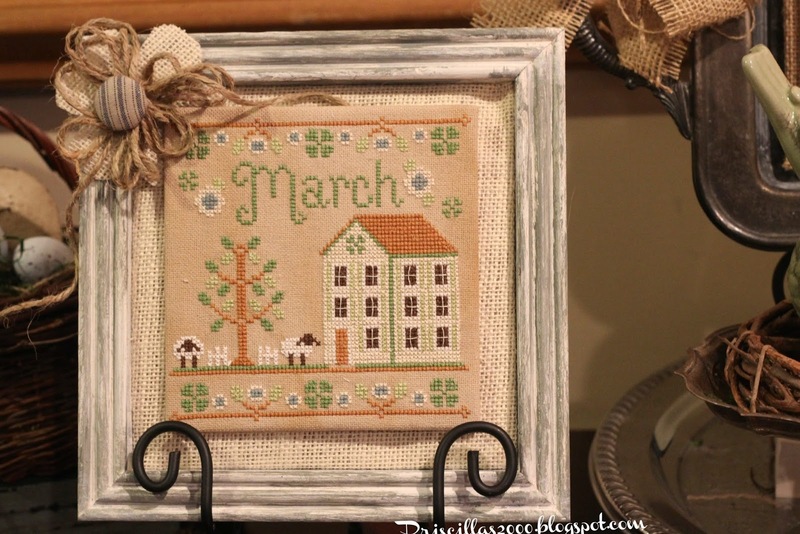 I finished the Country Cottage Needleworks March cottage last night ! I mounted it onto needlework board and added a small piece of sheet metal to the back so it would attach to the magnet.. These are on the long console table in my family room.. I changed the pink color to ecru and used a blue grey for the flower centers. The other colors stayed the same. 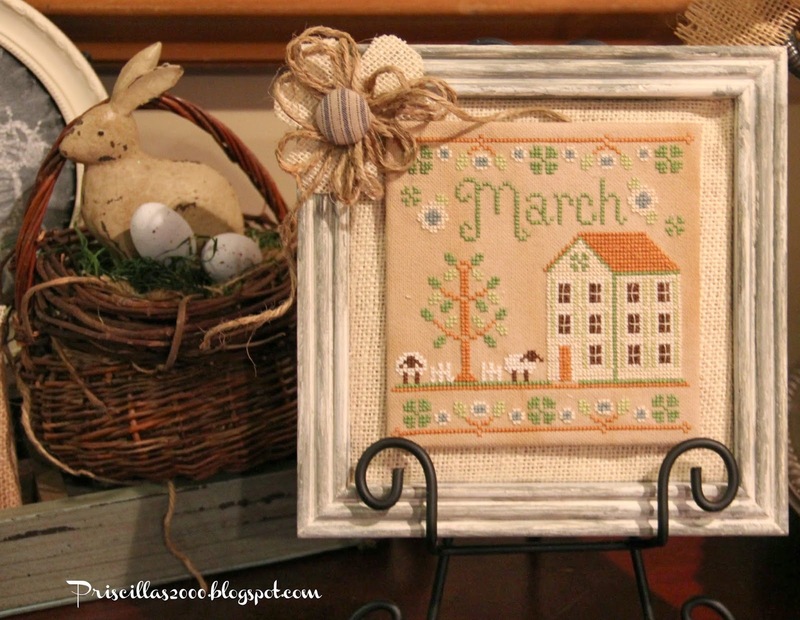 You can see February's cottage here..Guess I better get busy on April's wordplay and cottage ! 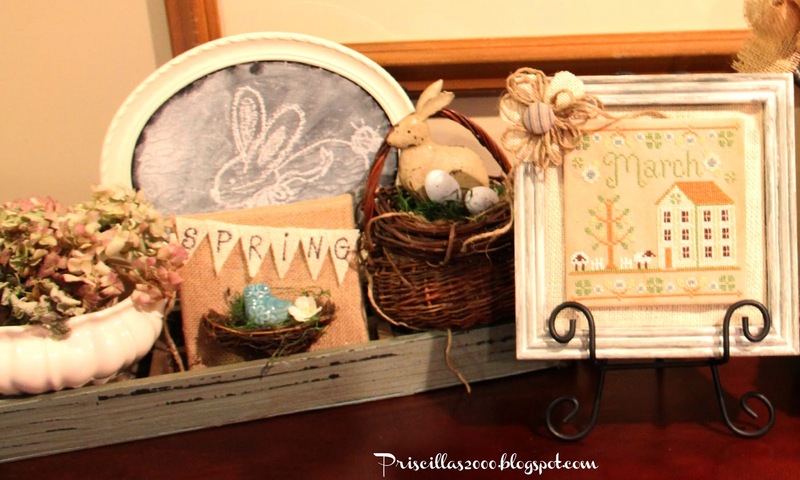 Really cute stitching - and I see the chalkboard bunny peeking out over there! Lovely work. Thank you for sharing. 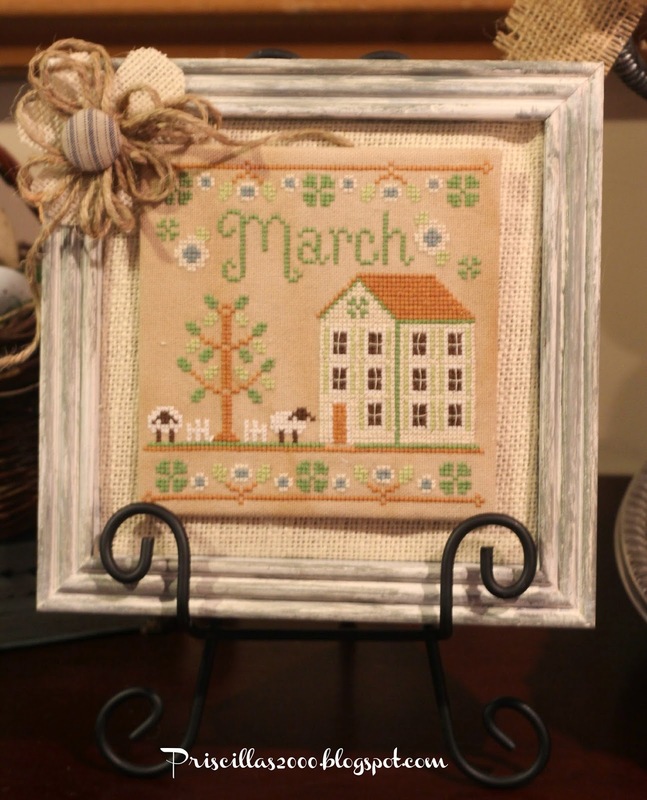 March is a great stitch! 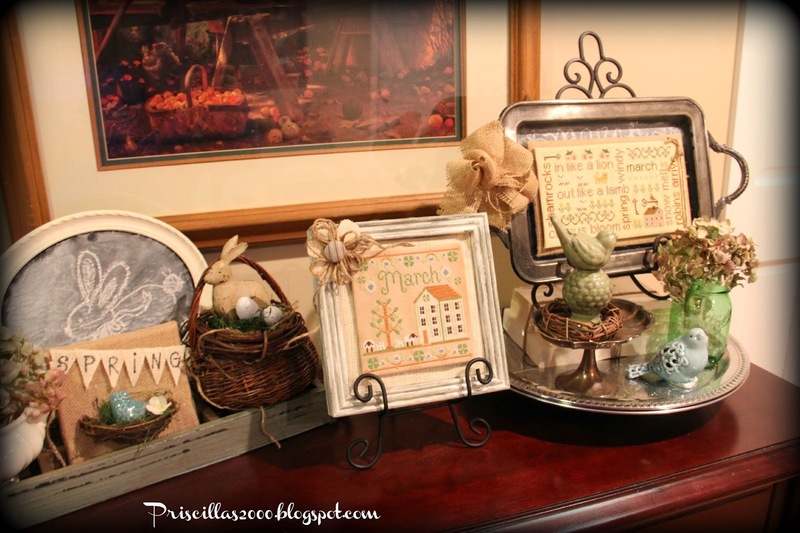 I love the way you are displaying your work! It looks wonderful. I wonder do you make your own patterns or if not....where do they come from? 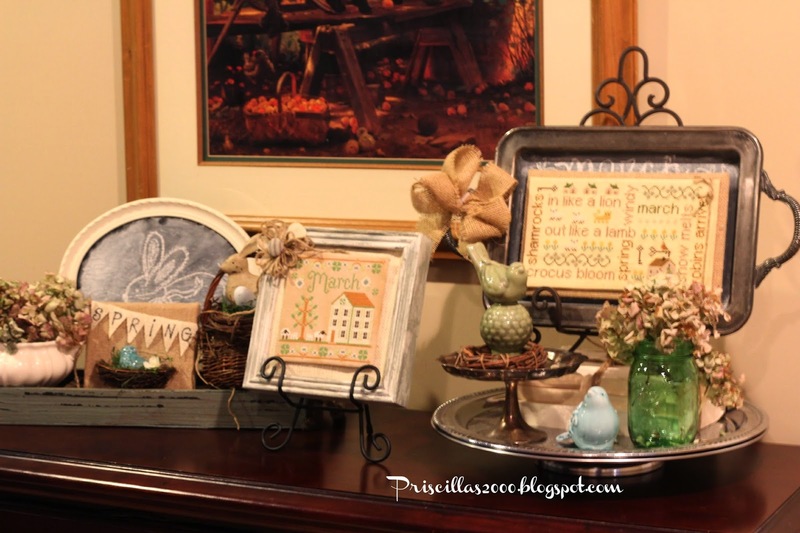 I love seeing how you display your pieces. I have even taken some of my precious pieces done in the past and refrained them in the styles you use. 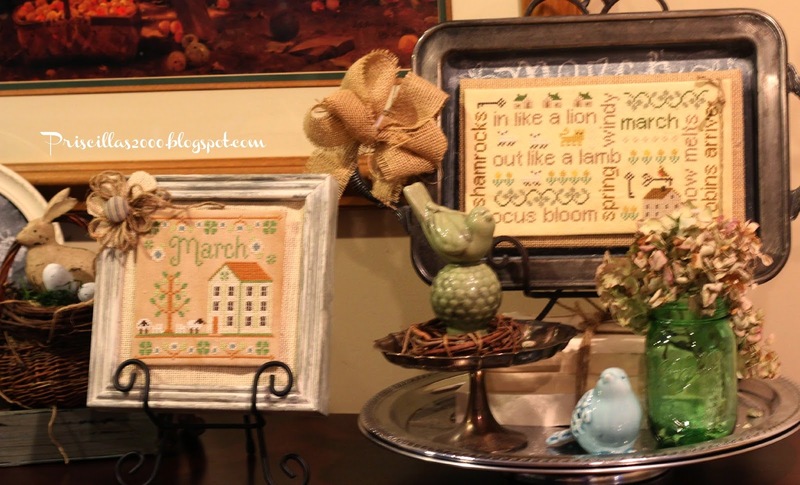 Thank you so much for your beautiful blog.....it brings much visual joy to my heart. Have a beautiful day! Oh, that is such a cute finish, Priscilla--I love your color changes, too :) Hope things are warming, up out your way. It is only 27 here, but at least the sun is shining and the robins are hopping around on the grass (yes, we have grass again!!)... Happy Sunday to you! Very cute! I used to cross-stitch all the time, but that was years ago. I often miss it, but can't see well enough to attempt any new projects as my eyes have aged. Yours is just lovely and so well displayed.